After a full summer of amazing trips, family fun, and a decent amount of relaxation, our family is gearing up for the start of the “s” word. 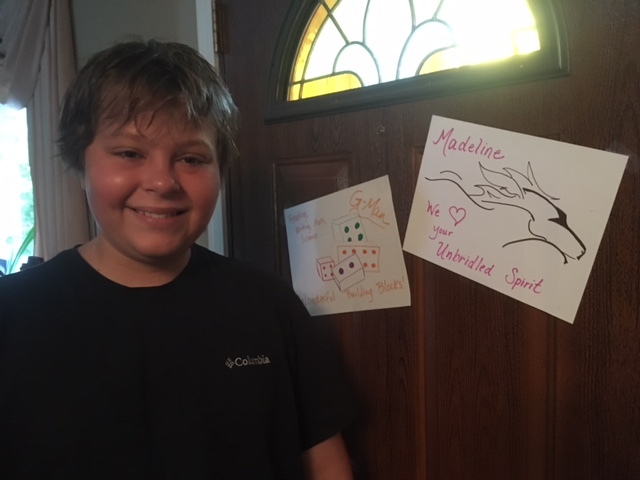 We’re lucky: School is not a completely dreaded activity for our kids, but one family tradition has helped, I think, to keep school from becoming synonymous with another s-word-not-to-be-named. My husband and I have always worked full-time, so our children have had some sort of childcare year-around. We deliberately sought different care in the summer so they could have less structure and more time for play. But when the first day of school arrives, we celebrate like it’s a party. After we tuck them in to bed, we decorate the house with streamers and handmade posters. 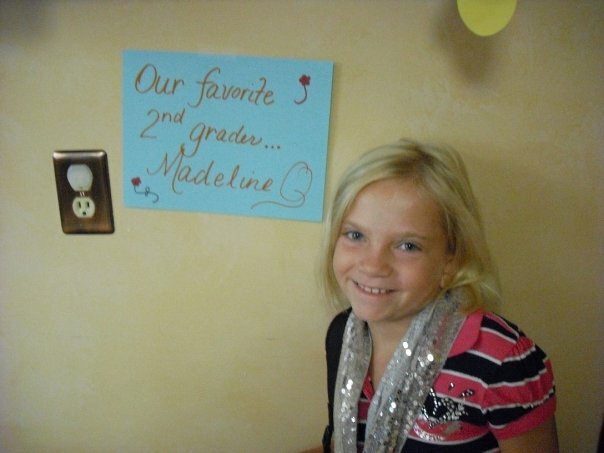 “Watch out second grade: Here comes Griffin!” Or “Madeline: A+ in Our Hearts.” Yes, sometimes they’re corny. And none are fancy. I scramble through junk drawers and backpacks to find half-dried out Crayola markers and draw with bubble letters on construction paper. These signs will not win awards for content or visual aesthetic. 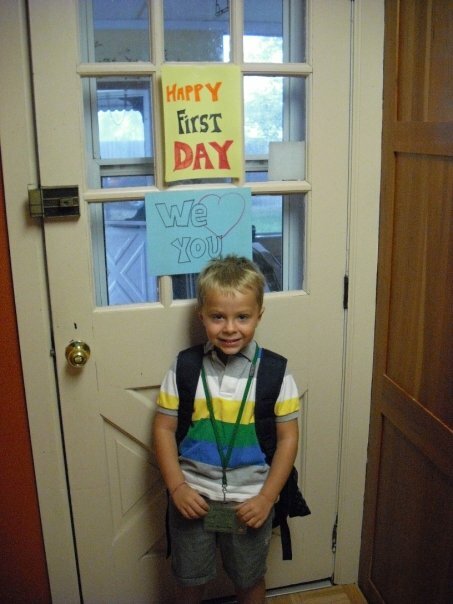 But they make the first morning of school really fun as the kids, sleep still in their eyes, part the crepe paper streamers in front of their door and hunt for signs that decorate the walls of the house. We end up leaving a few on the walls for the whole year. (I quickly learned the error of my ways when I started to take them all down one year). Breakfast is of their choosing—we’ve made pancake houses, maple sausage, gooey cinnamon rolls. For dinner, we normally go out to a special place to recount the day. When our daughter started middle school, I figured she might have outgrown the decorations. This year, she starts high school, and our son, the youngest, heads to middle school. But they’ve already made me promise to decorate for the first day. I’m not exactly sure why this tradition has become so important to them. Perhaps it’s a last, lingering thread to recesses and play dates, and they’re not ready to give it up. Perhaps they like that we mark the start of school as something to celebrate, not dread, as something worth streamers and atta-girl signs instead of deep sighs and disappointment. But I think their desire for our first day celebration reflects the strong hold of a family tradition. The things we do together year after year become a part of our shared story, of who we are as a unit. They reflect our priorities. They root us in love and connection. It’s a powerful reminder for me as I reflect on our other family traditions – and what role faith might have in them. This year, I’m going to add a couple of signs with scripture verses of encouragement. And I might even slip a prayer or two in the bottom of their backpacks. Who but God knows how the seeds we plant today will take root and grow? 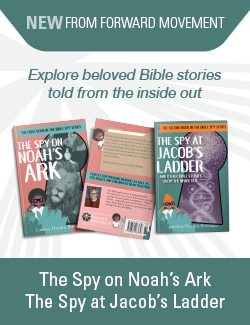 I wonder how you have lived out your faith through interesting family traditions. I hope you will share them here. A wonderful way to start the morning. Tradition and family are so important especially in the world we are living in at the moment. Thank you for this very uplifting and positive story. Glenis, Thanks for your kind words! I agree that tradition and family are so important — especially when things seem so crazy in the world these days. The tradition in my FOO (Family of Origin) was that on the first day of school in the fall, and on the first day back after the winter holiday, my Mother opened a can of maple butter for us to spread on our breakfast toast. Maple butter was a treat that we enjoyed only in Canada during our annual family vacation — and at the start of school. Henny, That’s a great (and delicious) tradition! Thanks for sharing.